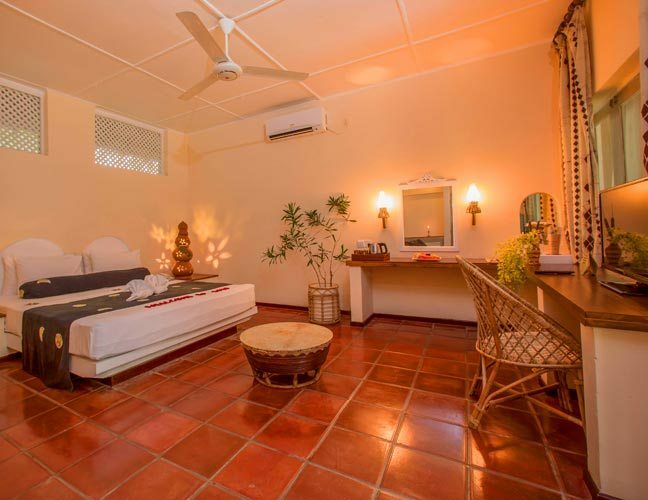 Whether you are looking for an adventure holiday or a cultural tour in Sri Lanka, Sigiriya Village Hotel is an ideal stay for solo travelers, groups and families with children. 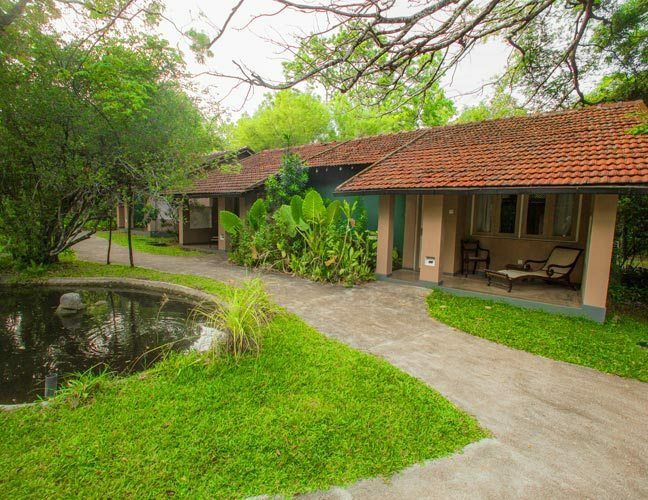 Set at the foot of Sigiriya Rock Fortress, the star class resort combines the rich Sri Lankan heritage with modern day comforts for leisure and business travelers alike. A layout similar to an ancient local village with intertwining roads, lead to clusters of cottages, fitted for star class living. Restaurants at the garden center offer a variety of cuisines while the Ayurvedic Spa provides treatments for mind and body. Spread across 10 hectares of a minutely manicured landscape filled with ancient trees and vines,are the ponds and interconnecting channels filled with local birdlife and water lilies adding to the charm of the hotel. Pathways along the lotus-filled ponds lead to the central area of the hotel, where stands the proudly rustic restaurant overlooking the swimming pool, that serves al fresco meals in the garden or by the pool. 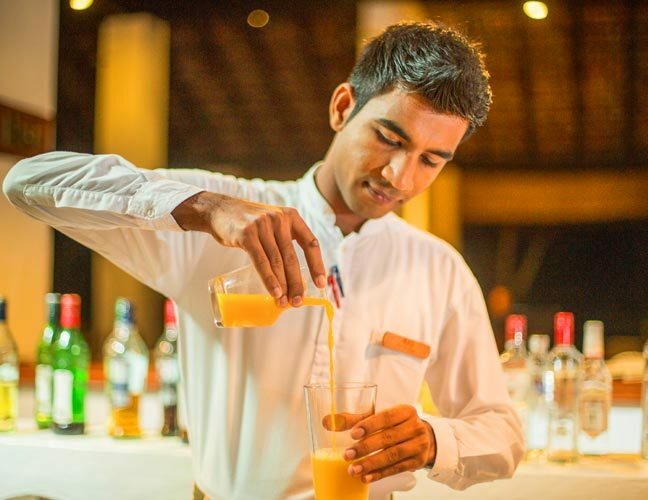 Each and Every member of the Sigiriya Village Hotel team reflects the true spirit of the Sri Lankan hospitality. With decades of collective experience in the hospitality industry, we assure that every need and demand of our guests are met to a perfection. Whether you are seeking the service of the housekeeping department, the restaurants, naturalist, or event management our teams are dedicated to making sure that our signature service is available to all around the clock, every time you visit the ancient wonder of Sigiriya. 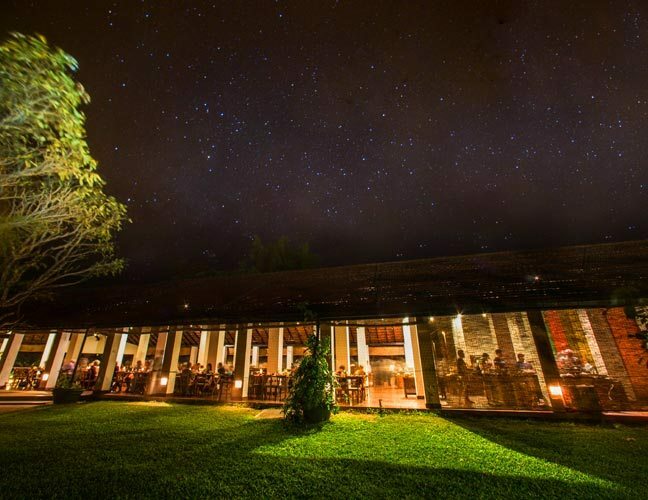 At Sigiriya Village Hotel, any praise or compliment that comes from our guests and partners in travel and hospitality is the best award and accolade we can ever receive.